A couple of weeks ago my cousins and I took a road trip up to Santa Barbara. We were celebrating my cousin’s bachelorette party. We had a very relaxing weekend soaking up the beautiful sunny day. To start things off we decided to cruise around Solvang’s Wineries, it was my cousin’s first time ever to truly feel the beauty of a “buzz” lets just say she handle herself pretty darn well. Her big day is a couple of weeks away. I can not wait to see her in her beautiful wedding dress and get to see her embark in her happily ever after with the love of her life. I adore your outfit! I ca´t believe I live in Barcelona and still haven´t done any wine tasting except at the wine fair, haha that´s right, I let the wine come all the way to me. I love the way you wore your romper! You are so funny. Heck as long as you done any sort of wine tasting its all good. You must make it a trip to go to a Vineyard here in LA they are so relaxing. Thank you the romper was an interesting choice specially when i had one too many drinks. haha If I am ever in LA! Trust me, my family and I, wine tasting will be top of our to do list! And even more now I know what to wear when going to wine testing event! 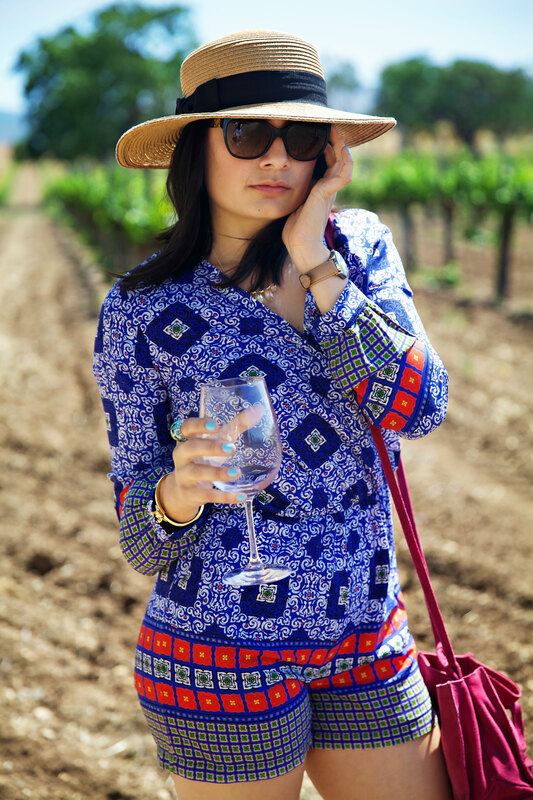 What a perfect wine tasting outfit! Love how you styled those shoes. Hey Angelina! thank you so much it was so comfortable to wear.